We live in a world that is divided into hundreds of binaries, including some very basic binaries about motherhood. There is the idealization and virtual mother worship that occurs annually on Mother’s Day, but there is also the everyday patriarchal devaluing of actual maternity— chasing nursing women into private spaces, giving medals to people who kill in combat but ignoring the heroism of giving birth. A woman’s actual personhood is a paradoxical irony: young women are valued for their potential to be useful sexually and reproductively, but once they have succeeded in fulfilling those potentials, they are regarded as vaguely defiled. And mothers are expected to be constant in their angelic patience and selfless servitude, but that very expectation robs them of their humanity, which is of course as full and complex as any male person’s humanity. Vanessa Reimer makes all the above points in the first three pages of Angels on Earth: Mothering, Religion, and Spirituality. The remaining 275 pages go inside “religious motherwork” to examine and reveal the truth about mothers’ religion and spirituality. The veneration, the blame, and the affirmation we feminists accord to mothers is examined from many diverse angles of culture and identity (i.e., “religious enculturization”). Sarah-Jane Page writes about “Double Scrutiny at the Vicarage: Clergy Mothers and the Public Gaze,” concluding that being a “good” priest is so all-encompassing that one cannot also be a “good” (all-encompassing) mother—an attitude that desperately needs changing. Deirdre Hill Butler provides a discussion of “Intersectional Mothering” in the Black Baptist community, describing an organization called the Daughters of Myrtle who are mother-centered activists yet are careful to allow time for group retreat and relaxation. The editor, Vanessa Reimer, studies religious blogs written by evangelical Protestant women as they seek to challenge contemporary theology. Together, these bloggers demonstrate that “The Internet is changing the face of religion worldwide” (p. 56). Similarly, Emily Hunter McGowan describes the terrific tensions of mothers within the Quiverfull movement (centered in home schooling, pronatalism, and male headship). Here, patriarchal precepts often run counter to real-life necessities. Bridget Boland describes the role of Doulas in contemporary birthing. Doulas are women who support mothers throughout the process of pregnancy and childbirth, frequently creating “sacred space” for the birthing family by acting as shamanic intermediaries between the natural and spiritual realms. 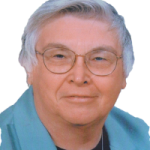 Boland provides some beautiful ways that a family can “call the child” into their midst. In a section on religious mothering in historical and literary texts, Therese Novotny shows how Julian of Norwich, Mary Magdalen, and Mother Theresa defied patriarchal expectations that women should be merely passive vessels. Ann W. Duncan discusses “Quakerism and the Paradox of Liberated Motherhood,” suggesting that now more than ever, Quaker mothers must listen intently to their inner voice, including attention to their own “needs, strengths, and limitations” (p. 136). “Motherhood and Hindu Religion” is examined by an Indian professor named Zairunisha, revealing that although motherhood is deified in Hindu religious texts, mothers are also excluded from the public domain. Hence, “the Hindu female body is not a free body,… but [is] ruled by ‘our’ scriptures, ‘our’ customs” (p. 150). Clearly, transformation is urgently needed. And in a study of “Non-Biological Queer Jewish Mothering,” Emily McAvan calls for Judaism to honor the great diversity of its contemporary mothers, all of whom provide their children with a birthright, even if they are not the biological mothers or are not part of a heteronormative society. Florence Pasche Guignard studies Hindu “maternal thinking and maternal figures in Bhaakti poetry of Sūrās,” a prominent religious poet from early modern northern India. His poems honor the provision, protection, nurturance, and acceptance among Hindu mothers. And Elvira Casal describes Charlotte Bronte’s Villette as a “Spiritual Quest for the Mother.” Lucy never finds the feminine spiritual connection she yearns for, because both Catholic and Protestant churches recognize only a masculine God” (p. 200). The final section of Angels on Earth highlights personal narrative of empowering strategies used in daily motherwork. Rannveig Haga describes storytelling as co-creating spiritual contexts, a practice utilized by five Muslim mothers. Sharon Lang shows how her feminist mothering is constantly evolving because of her Judaism. Rosie Rosenzweig describes her journey of learning to respect the Buddhism to which her Jewish son had converted. And Rabbi Dr. Haviva Ner-David discusses menstruation and women’s “purity” in Orthodox Judaism, including rituals she has co-created with her own daughters. The volume concludes with Kathryn Bell’s reflection on the ambivalence and the beauty that occur daily during motherwork and connecting with other mothers. 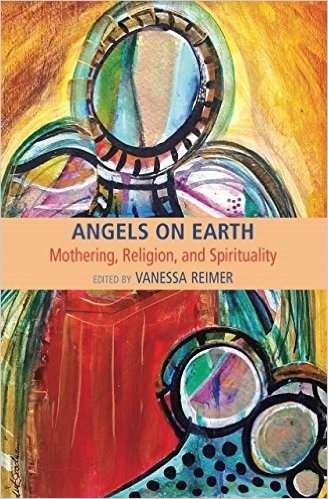 All things considered, Angels on Earth succeeds in showing that mothers are gradually transforming their local communities, their diverse religious institutions, and their worldwide spiritual traditions. I recommend this volume as a wonderful gift for feminists of faith who are considering the path of motherhood, and for older feminists who might appreciate being honored for their motherwork.